Early last October, the work of the last Brazilian census had not yet been finished, but we already knew that our adult black population had grown two percentage points, from 5% to 7%, over the last ten years. (In Brazil, black people are officially considered a category apart from the racially mixed population.) For those who know Brazil and know that the country has the largest black population in the world, after only Nigeria, these numbers may seem surprisingly small. And these people may also ask how could this have happened? The new persons who were born in this so short period of time - 10 years - are not adult enough to be included by the census collector. So, where did those two percentage points came from? Before answering, let’s explore another fundamental question: 7% is a small, insignificant number? The answer may be Yes and No, as it depends on whom is reading it. Numbers are not geographic symbols but, as they don’t lie, they are the most powerful kind of authority we have to prove something, although our sense about their meaning may vary according to different national criteria. If you are Brazilian, 7% is very small, considering a population of 190 million people. But for those people in the world who deal with racial discrimination and racism, it will never be insignificant. 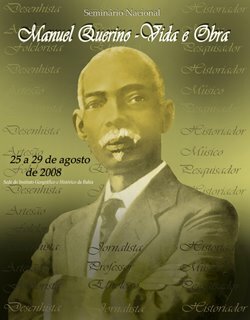 The census, made by the Instituto Brasileiro de Geografia e Estatística-IBGE, doesn’t explain, as it is not its official business to make considerations about the development of racial awareness, but that difference of 2 points shows that, now, two million more people are accepting and proclaiming their real color. Ten years ago, when another census took place, they had said that they were not blacks, but “mestiços” or “mulattos,” a category more favored, socially. That difference is good proof that racial consciousness is growing in Brazil, which means that more and more black people are not ashamed of their racial identity, and, not statistically but ethnically speaking, two percentage points is a big and significant number. But there is more about that. These 7% might be added to 45% of those who said to the collector that they are mulattos, and the result will be a population of 52% of blacks and mulattos, and 49% of whites. So, in an American sense, the Brazilian black population is now larger than the white one. In the Brazilian sense, as was said, blacks and biracial are two different categories. Another number that Census shows, 2%, refers to people who, 10 years ago, said to the collector that they were white, but, now, they want to change their category, some choosing to be mestiços, some mulattos, some indigenous. These are very light-skinned black persons who used to pass as white, but now are not ashamed to declare their real origin. They don’t want to be white, anymore. So, the Brazilian black population not only is the second largest in the world, but also exhibits the record of being the most mixed. In this sense, it reserves first place. Mulattos, in Brazil, are, mainly, a product of the Portuguese, who colonized the country, and the Africans, brought there to be slaves. And this mixture was always so dense that, in slavery times, there were more mulattos than today, proportionally to the total population. But the readers must not take this last information as a sign of racial liberalism from the Portuguese side, because it actually hides violence, a crime. modernly repeating what their ancestors, owners of slaves, used to do. In Brazil, in the time of slavery, the mulattos were chosen to be what was called Capitães do mato (bush captains), the leading hunters of fugitives slaves in the forests and responsible for chasing those ones walking in the streets in the cities. That was a job that gave some privileges to them, as they were not in the fields nor in the big houses, but seen as the protector of the interests of white owners of slaves. But the position also gave them the very bad reputation of being enemies of black people. 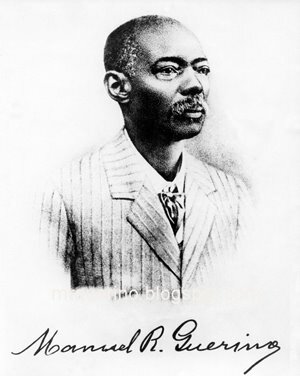 Brazil is a young country, with a juvenile enthusiasm in many senses, without answers or even research, yet, about its most important questions, like those about “new blacks.” Few people care about who makes Brazil what it is, and for whom. Of course, we are not so innocent as to not know that Brazil is evolving within a permanent conflict of huge cultural, political and economic interests that we have already identified and we are learning how to deal with its resistances, changes and tricks, like the disguised face of the modern capitaes do mato. Slowly but consistently, we are pushing ahead and improving an Affirmative Action that came late. And, for a developing country, it is comforting to know that some difficult questions, so important for tracing a right and quick road to a really democratic future, are not being answered even in developed countries.